Russian Grandmaster Mikhail Chigorin apparently valued the bishop pair less than most chess masters; some say he even preferred knights to bishops. This is probably why he developed the Defense named after him, to contrast the Queen's Gambit (1. d4 d5 2. c4 Nc6). The Cigoring Defense actually violates several classical principles: Black does not maintain the center pawn at d5, the c-pawn is blocked, and Black must be willing to trade a bishop for a knight; nonetheless this opening is considered playable for Black. In this video series IM John Watson investigates this interesting opening. 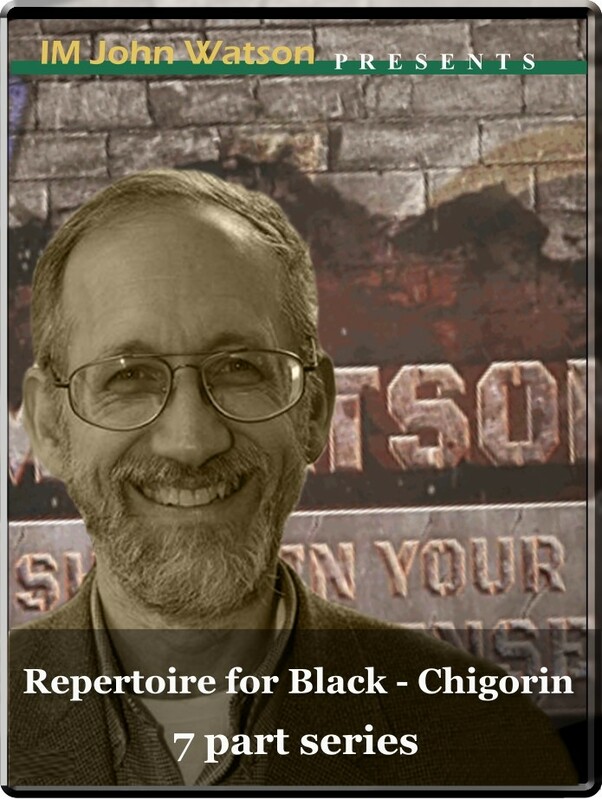 Repertoire for Black - The Chigorin (7 part series) Russian Grandmaster Mikhail Chigorin apparently valued the bishop pair less than most chess masters; some say he even preferred knights to bishops. This is probably why he developed the Defense named after him, to contrast the Queen's Gambit (1. d4 d5 2. c4 Nc6). The Cigoring Defense actually violates several classical principles: Black does not maintain the center pawn at d5, the c-pawn is blocked, and Black must be willing to trade a bishop for a knight; nonetheless this opening is considered playable for Black. In this video series IM John Watson investigates this interesting opening.